TELC encompasses both Christian values and a strong educational program for young children. Our classroom environments encourage gaining knowledge through play, learning centers, and teacher guided lessons. Children work to solve problems, gain social skills, and have a wide variety of experiences that help them grow and learn. TELC provides a safe and nurturing environment that allows for sensory awareness, cognitive growth, and language development within a Christ-centered place. Our Mission aligns with Trinity United Methodist Church: Becoming disciples of Jesus Christ to make a difference. Our Vision is to make a difference in the City of Arlington by providing excellent preschool education. Each student will be prepared to enter Kindergarten with confidence in their educational foundation. While providing a solid educational foundation is pertinent, we believe that our students must have a solid spiritual foundation. Our ultimate goal is to become the resource in preschool education. Summer Fun Days for our Preschoolers is back for another summer. Your preschooler can come and have fun this summer at Trinity. TELC is offering Summer Fun Days full of special events, scripture, Bible lessons, movement, music and free play. Rachel grew up in Fort Worth, Texas and graduated with her BA in Education from The University of the Incarnate Word. Past professional positions include being the Assistant Director and later the Director of Sylvan Learning Center and teaching for 9 years in Aledo ISD. She first came to Trinity in 2013 and immediately knew this would be a great place for her and her children to make their place of worship. She became the Director of Trinity Early Learning Center in August 2014. 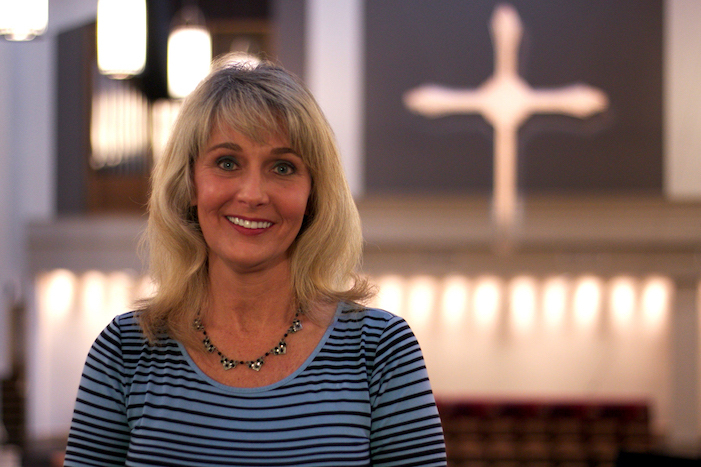 Working at Trinity has been a blessing that allows her own children to be raised in the Methodist church all while serving families in our community.